Last Sunday (Nov. 11), Chinese retail juggernaut Alibaba Group Ltd. (NYSE: BABA) held its tenth annual Singles Day sale, a 24-hour sale commemorating China's Singles Day holiday. While Alibaba's previous Singles Day sales are legendary for their staggering profit, this year's sale blew past records out of the water. In just 24 hours, Alibaba raked in $30.3 billion in sales - a 27% rise over last year's total of $25.3 billion. The Indicator That Makes Alibaba (NYSE: BABA) Shares a "Screaming Buy"
On Sept. 8, Alibaba Group Holding Ltd. (NASDAQ: BABA) Jack Ma announced that he would step down as the Chinese retailer's executive chair next September. Wall Street did not take the news lightly. Alibaba's stock dropped 5% after Mr. Ma's announcement, pushing shares to a year low and fostering rampant speculation about the future of the company. For the last two decades, many investors have credited Alibaba's tremendous growth directly to Ma, a former school teacher who help establish the company in 1999. We call him Bill Patalon - the markets call him "the World's Greatest Stock Picker." After the Trump administration threatened to impose tariffs on Chinese goods, Alibaba Group Holding Ltd.'s stock fell over 18% between January and May 2018. With the White House targeting Chinese companies, many investors are wondering if Alibaba stock is still a strong buy. The truth is that Washington's red tape can't outweigh the outstanding potential for growth that undergirds Alibaba stock. In fact, we expect investors in Alibaba stock to benefit from soaring revenue and earnings. Alibaba (BABA) is one of the best stocks to buy for long-term gains. But we have a secret play on BABA that could yield a 70% return. Amazon.com Inc. may no longer be the top e-commerce company in the world. Money Morning Executive Editor William Patalon says China's largest retailer, Alibaba Group Holding Ltd. (NYSE: BABA), is fast becoming the global e-commerce king. The BABA earnings report for Q3 2017 will happen before the opening bell on Jan. 24. Every earnings report is important. 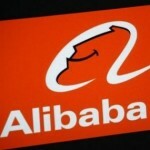 Alibaba Group Holding Ltd. (NYSE: BABA) stock opened up 11% today (Thursday) at $88.78 after a stellar earnings report. Alibaba officials reported earnings per share (EPS) of $0.48 on revenue of $2.81 billion. Analysts had expected EPS of $0.42 and $2.77 billion in revenue. The revenue figure was 45% higher than last year. That's 14.8% from Alibaba's first-day closing price of $93.89. It's 33.3% from BABA's high of $120 hit on Nov. 10. When I'm not spending time digging through charts and analysis for Stealth Profits Trader, I like to look at some of the broader market elements that might be useful for any investor. Today, I've found a great opportunity to buy a well-known and heavily traded stock at a great, low-risk price - perhaps even the best risk-adjusted price that we've seen on this stock to date.